Home Policy Elderly healthcare in Germany: Do they need robotic technology or human touch? 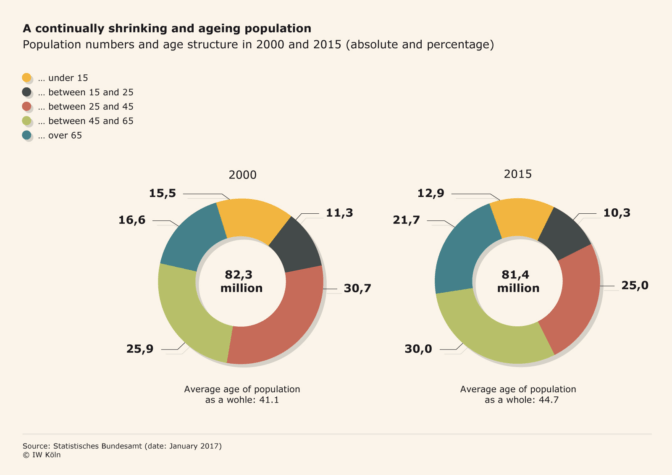 The elderly population in Germany is fast affecting the society because of the increased rate of life expectancy due to the improved living standards for the elderly. 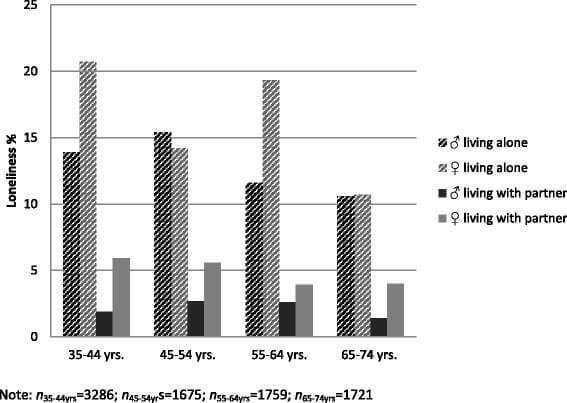 Since the 19th century, the life expectancy for men stands at 78 years and for women is 83 years. Currently, more than a quarter of the population is aged over 60 years and over. 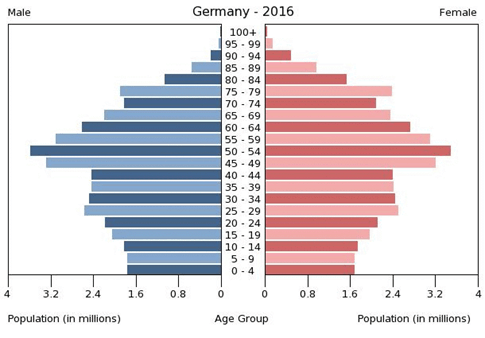 The current German population stands at 82.67 million and by 2060, it is expected to reduce to approximately 65 million. In 2009, the birth rate in the country was 1.36 children per woman which means the country has a high older population. The German health care system is the best in the world because it offers universal coverage for all its residents and it is divided into three main categories namely; outpatients, inpatient care, and rehabilitation facilities. The residents are either covered under the public or private health insurance coverage. The health system is paid by the government for individuals employed; whereby their bills are paid in half by the government. However, for private individuals, they can opt to add an extra amount on top of the government financial aid. The German healthcare is faced with the challenge of excellent information systems that share, store and access all data and records of the elderly patients in the country. Due to the ageing population, statistics show that over 30% of the population is aged between 45 and 65 years old; hence there are not enough young people to train for medicine and nursing courses in the country. The German Nursing Council states that the number of applicants in training position in medicine has reduced, thus creating a deficit in the nursing industry. Furthermore, due to this shortage of medical and nursing staff, the cost of healthcare has risen tremendously. Studies indicate that approximately 1.2 million caregivers for the elderly are looking to increase their pay through strong unionization. Digital applications have improved the provision of health care among the elderly in Germany through the use of mobile-equipped tools like the CDS tool that monitor and detect any retrogressive medical condition for the patients. Cloud-based healthcare systems have improved delivery of medical care for the elderly whereby hospitals can track the progress of their patients without the need for in-patient care at the centre. For instance, these systems can detect missed diagnoses. In addition, digital technology has paved way for the implementation of the Electronic Medical Records (EMR) in Germany, hence reducing data management costs for caregivers thus improving efficiency. Digital technology allows patients to detect diseases through their smartphones whereby medical applications installed in these devices pick up signs and symptoms of depression or cardiac complications. Moreover, digital healthcare technology has resulted in medical adherence through services such as tracking refills, monitoring chronic diseases and confirming medical data like urine samples and breath analysis. Most elderly patients suffer from non-communicable diseases such as cardiac ailments, diabetes and hypertension. Therefore, the need to monitor these conditions is paramount to improve the healthcare of such patients through the use of vitals-tracking wearables and devices. For instance, a heart monitor for cardiac patients is one advantage of digital technology in healthcare. Moreover, digital technology has improved health among the elderly through the use of portable diagnostic devices that track pre-existing conditions and diagnose new diseases. The use of biomarkers is the recent form of digital technology that allows doctors to test and analyze the blood and urine samples of their patients to detect whether they have an undiagnosed medical condition that needs attention. Digital health solutions are highly advanced and offer real-time results and analysis, unlike traditional healthcare which required the intervention of traditional doctors who lacked sufficient medical and scientific knowledge. Digital applications are easily integrated into mobile devices such as smartphones, laptops, and tablets which are in the possession of the patients. It is easy and simple for both the patient and doctor to analysis data, since its recorded and stored in digital format. However, traditional healthcare relied heavily on hard copy documentation which was cumbersome and strenuous when it comes to accessing, storing and analyzing medical data. Some of the digital equipment and applications used in health care for the elderly patients might be too complicated for the patients to use and implement. The elderly patients might fail to properly use these digital medical platforms when it comes to assessing their medical progress and diagnosis. Elderly patients require human touch and consultation with their doctors and caregivers because they need to feel appreciated and catered for when it comes to medicinal administration. Isolation from family and friends is a medical disaster because loneliness is one leading causes of death among the elderly surpassing the rate at which obesity affects the older population. Research shows that isolation is a major health risk for elderly patients because some of them suffer hearing loss, poor eyesight and other sensory impairments; which renders them completely helpless and ultimately makes them lose the hope and desire to live. Since elderly patients lack digital health literacy, they lack the knowledge and know-how when it comes to using sophisticated digital technology. For instance, elderly patients do not know how to handle sophisticated smartphones when it comes to checking their heart rates or diabetes through mobile applications installed on their devices. Digital health technologies have improved elderly healthcare through the implementation of medical management, that has allowed nurses improve the quality of medical care among older patients. Moreover, medical technology has paved way for real-time diagnostics and concurrent communication with health experts regarding the state of their medical condition while in the comfort of their homes or offices. Human caretakers are tasked with the responsibility of handling any medical emergency, buy and administer prescription drugs, assist with physical therapy, discuss the care needs with the doctors, and organize medical appointments on behalf of the patient. Even though digital technology has revolutionized healthcare in most developed countries, there is need to ensure that patients receive the attention of doctors and nurses, because it creates a sense of care and concern for patients. Furthermore, it allows patients to respond positively to medication and treatment. Human touch in health care is a vital ingredient for the cure and improved health. It is important for medical centres to ensure that the service they offer their patients has a “human touch” as a way to boost patient service delivery. Retirement and elderly homes are best suited to ensure that elderly patients receive the best medical care by equipping the nursing staff with medical applications that monitor their patients’ medical state as well as offer face-to-face consultations with their patients. Old age homes might invest in digital technology by supplying all their patients with digital devices that detect their heart rate and blood sugar levels through sensors and software applications. Germany is one of the most advanced countries in the world with the best universal health coverage because of its advanced medical technology and insurance policies that protect the integrity of the healthcare industry. Digital technology in healthcare has improved the quality of medical services and its provision for the elderly population not only in Germany but across the world. Elderly healthcare is an important aspect in most countries that have an ageing population which requires medical staff to offer personalized care.